Mayfield Falls Barrett Adventures. - Barrett Adventures the Real Jamaican Adventures. Mayfield Falls has been well known to the locals for many years. We discovered it over 20 years ago and have been taking guests there ever since. 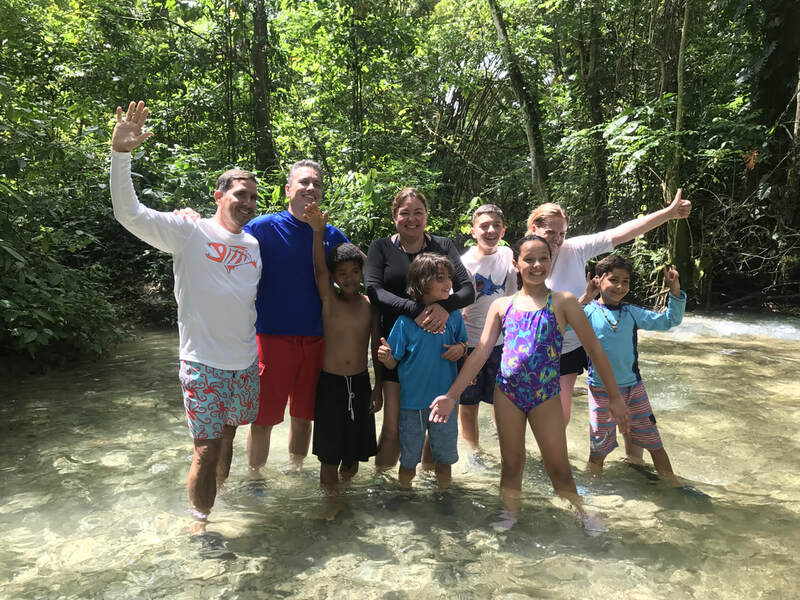 Here are The Manos and Rodriguez families, who were staying at the Bluefields Villas, but had the good sense to get out and see the counrty with us for a couple of days. Don't they look like they are having a really boring day in paradise? Leaving the falls was very hard to do.